Despite that it is not boasting killer specs as per late 2015 standards, it is somewhat safe to say the OnePlus X is what was truly needed to somewhat rekindle interest in OnePlus' portfolio. It's rather stylish as it's design is a pretty intriguing blend of glass, metal, and ceramics (depending on the edition). The most affordable edition of the phone costs $249, a great pricing for a factory-unlocked, off-contract device. So far, so good, but as we all know, OnePlus still uses its notorious invite system in order to sell its handsets. While there's nothing wrong with the invite system per se, it prevented a great deal of potential adopters from getting the maker's first phone, the One. OnePlus' 2015 crack at making a smartphone was also mainly available through invites, though other ways of getting the OnePlus 2 also exist. Fortunately for all existing fans and potential adopters of the OnePlus X, the manufacturer is set to greatly change and improve its distribution system. During the first month of availability, the OnePlus X munchkin will be available with an invite only. After this period is over, the manufacturer is poised to hold weekly open sales of the handset, where you won't need an invite to claim a OnePlus X. It gets even better - OnePlus promises that after it's certain it can cope up with the demand, the OnePlus X will be available without an invite. Undoubtedly, a great piece of news for all those who are willing to get the phone! Still, we suppose that we are a couple of months away from the demise of the invite system if that's indeed destined to happen. 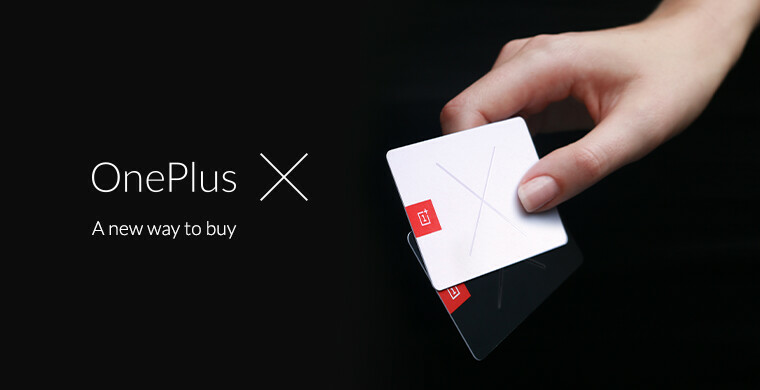 As a reminder, the OnePlus X launches on November 5 in Europe and November 19 in the USA. Check out our hands-on and find out if it floats your boat or not. It has a 2013-like design But I suppose 801 is not as power hungry as the 808/810, though it lacks 64-bit support. How sad that more "power" equals less "power"
I hate this invite system so much it makes me not want to buy their products. "Despite that it is not boasting killer specs as per late 2015 standards" Neither does the iPhone 6s/Plus... Phonearena hop off OnePlus d**k.
With the exception of the screen resolution, the 6s/Plus are every bit a flagship. Hop off Apple's d**k.
Nah man, the chipset is flagship. Such a failure... die OnePlus. Revamped invite system tho. I'm not complaining!